One man's trash is another man's treasure! In this case, "treasure" is a one-of-a-kind, couture creation designed by the talented and creative students of TONI&GUY Hairdressing Academy. 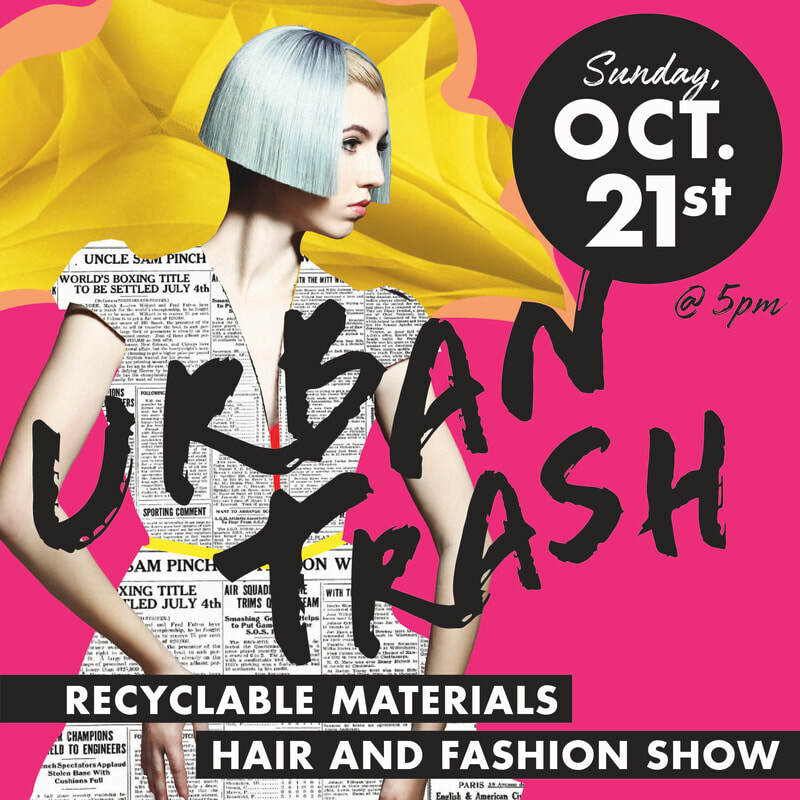 With an emphasis on utilizing recycled materials, students are free to let their imaginations take center stage! 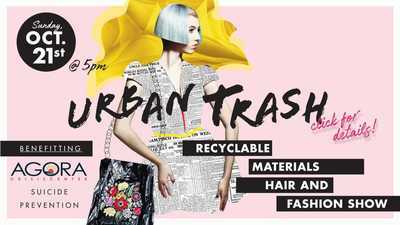 Come and participate in a night of fashion and fun! Watch a live runway show and bid on your favorite creation for the chance to take it home! VIP Tickets: $40 ($50 at the door) includes a complimentary champagne cocktail, preferred seating and swag bag. Proceeds benefit Agora Crisis Center Suicide Prevention. 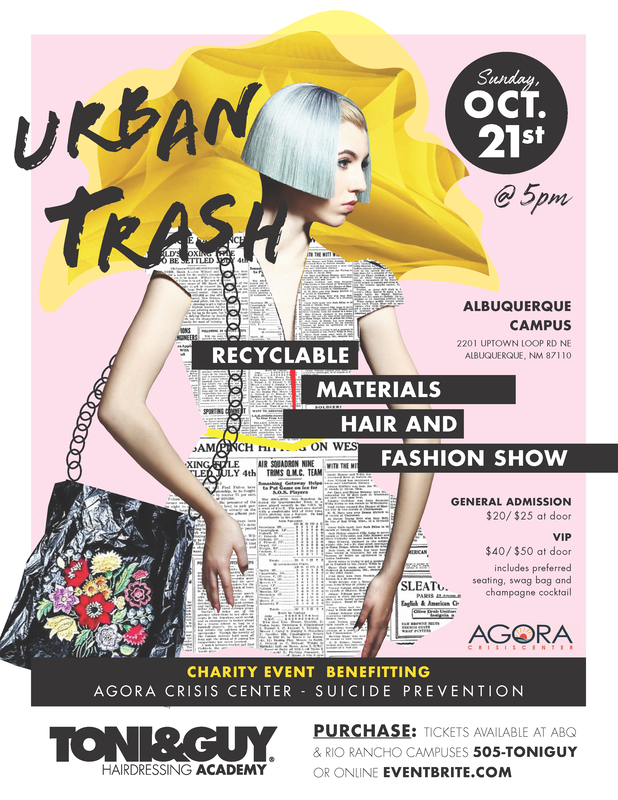 To purchase your ticket today you can visit either Toni & Guy Abq Uptown & Rio Rancho campuses in person or online at the eventbrite.com site. Our TONI&GUY® Hairdressing Academy is located in Albuquerque, New Mexico, offering cutting-edge cosmetology education and show-stopping salon services. Our cosmetology program focuses on skill development in haircutting, haircoloring, and hairstyling, as well as knowledge of nail care and skin care. Backed by the international experience and educational success of TONI&GUY, our cosmetology program is structured in a way that learning builds, skills develop, and every beauty school student knows what to expect from one day to the next. All graduates will be prepared to sit for the state licensing examination and will have already met all other pre-licensing requirements. Salon employers tell us that students from our hair schools are consistently well prepared for positions in their salons by being able to create both requested and repeatable results, build clientele, and give extra attention to customer service. That's why our beauty school graduates regularly get employment offers from prestigious salons and quickly climb to leadership positions in the cosmetology industry.